Storm Goddess chalked up Chipping Norton trainer Charlie Longsdon’s 29th winner of the season. The five-year-old won Friday’s Sky Bet Fast Withdrawal EBF National Hunt Maiden Hurdle in the hands of Robert Dunne at Doncaster. 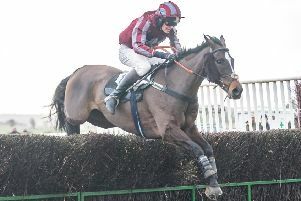 The Hull Farm handler will be hoping the cold snap is over as he runs Perle’s An Icon at Wincanton today (Thursday). Mollington trainer Paul Webber saw Indefatigable find one too good at Doncaster on Saturday. 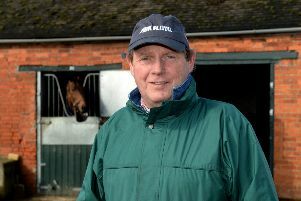 But the Cropredy Lawn handler will have been encouraged by the six-year-old’s run in the Grade 2 olbg.com Yorkshire Rose Mares’ Hurdle, in which she finished runner-up to Lady Buttons in the hands of Gavin Sheehan. Stablemate Special Acceptance is due to run at Sandown on Saturday. The Cheltenham Festival is on the horizon and entries for the four novices races are out. Lalor (Kayley Woollacott) and Dynamite Dollars (Paul Nicholls) headline 31 entries for the Racing Post Arkle Novices’ Chase on the opening day. Kalashnikov (Amy Murphy) has been considered a leading contender for the race since finishing second in last season’s Grade 1 Sky Bet Supreme Novices’ Hurdle. The 18 Irish-trained contenders are headed by Le Richebourg, who led home a one-two for trainer Joseph O’Brien when defeating Us And Them by four and a half lengths in the Grade 1 Racing Post Novice Chase at Leopardstown over Christmas. Ante-post favourite Lostintranslation (Colin Tizzard) is one of 52 entries for the JLT Novices’ Chases. Entries for the RSA Novices’ Chase include Topofthegame (Paul Nicholls) and Santini (Nicky Henderson), second and third behind La Bague Au Roi at Kempton Park.